Over the course of three seasons the denizens of Gotham City have endured many hardships as new criminals and flamboyant villains attempted to inflict their wills and enact grand schemes to take over the town. But few were affected by the sudden and intense crime wave like new detective Jim Gordon and socialite Barbara Kean. They began the series as a couple, but one’s devotion to the job and the other’s sanity being stripped away ended up driving them apart. Now they spend their days on opposite sides of the law. At the Heroes and Villains Fan Fest in Nashville this weekend, members of the Gotham cast were asked how Gordon would wind up naming his daughter after his (literally) crazy ex-girlfriend. At first the series seemed like it was setting up the future Gotham Police Commissioner and the art gallery owner as destined to marry and have a child named after her mother, who would go on to become the caped vigilante known as Batgirl. And then Barbara was kidnapped by a serial killer and forced to murder who own parents, brainwashed into developing similar psychoses that has since dominated her course of action in the series ever since. But Mazouz comments might also serve as a spoiler, or a red herring, depending on how events turn out when Gotham returns for Season 4. Barbara was electrocuted and left for dead by her former partner Tabitha Galavan. Her fate was left unknown by the episode’s end. Either Mazouz revealed that Barbara actually survives the electrocution, which seems likely, or he’s letting out a bit of misinformation in the case of her not being on the cast for Season 4. We’ll learn more when Gotham returns later this fall. Gotham’s origin story continues to unfold, and as the show enters its fourth season, the stakes will be higher than ever! 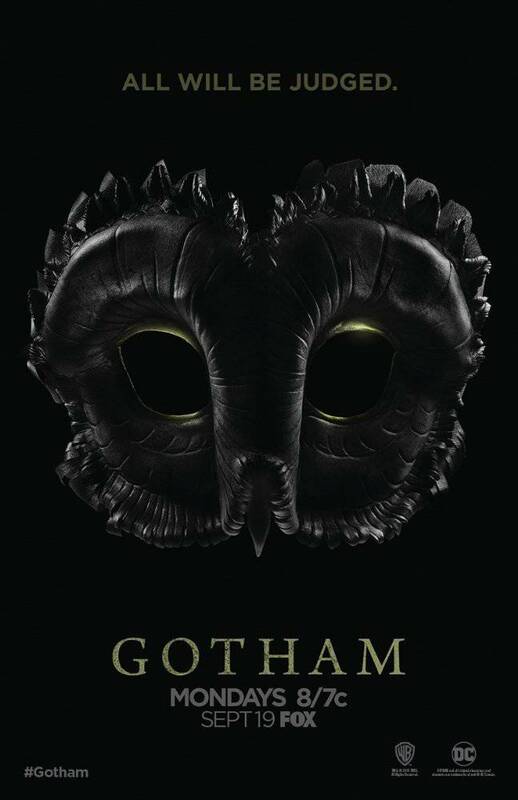 With the Court of Owls decimated, the aftermath of the Tetch virus crippling the city, and every (surviving) villain in Gotham’s underworld jockeying for power, Jim Gordon and the GCPD will have their hands full. And that’s just the beginning! What threat does Ra’s al Ghul pose, and will Penguin regain his title as the King of Gotham? What new villains are in store for season four, and what does Bruce Wayne’s season finale reveal mean for Gotham City — and his ultimate destiny? Gotham stars Ben McKenzie as Detective James Gordon, Donal Logue as Harvey Bullock, David Mazouz as Bruce Wayne, Morena Baccarin as Leslie Thompkins, Sean Pertwee as Alfred, Robin Lord Taylor as Oswald Cobblepot/The Penguin, Erin Richards as Barbara Kean, Camren Bicondova as Selina Kyle/the future Catwoman, Cory Michael Smith as Edward Nygma/the future Riddler, Jessica Lucas as Tabitha Galavan, Chris Chalk as Lucius Fox, Drew Powell as Butch Gilzean, Maggie Geha as the future Poison Ivy, Michael Chiklis as Detective Nathaniel Barnes, Benedict Samuel as Mad Hatter.